A smattering of patterns and color ways. 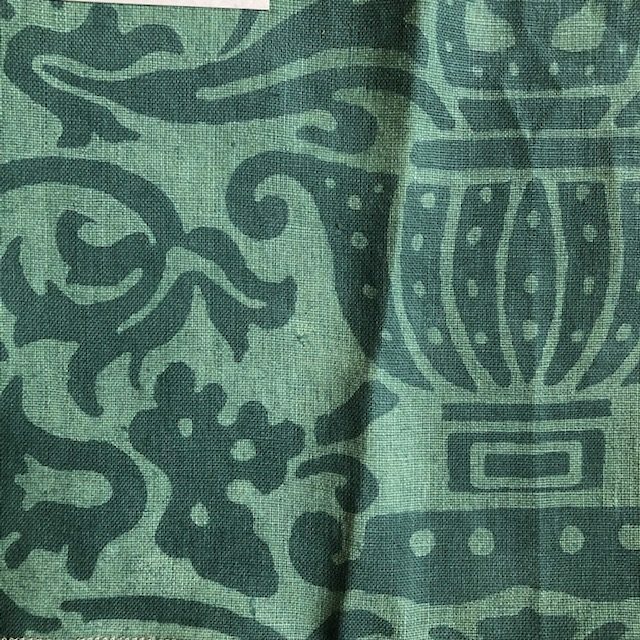 There is no better fabric than Fortuny in my opinion. Many companies have looked to Fortuny for inspiration trying to create their own version. To my knowledge the only company that has successfully designed a fabric comparable is le gracieux. The name translates as “the gracious”. That, this company is by creating beautiful timeless fabrics on natural materials while being environmentally conscious during the process. 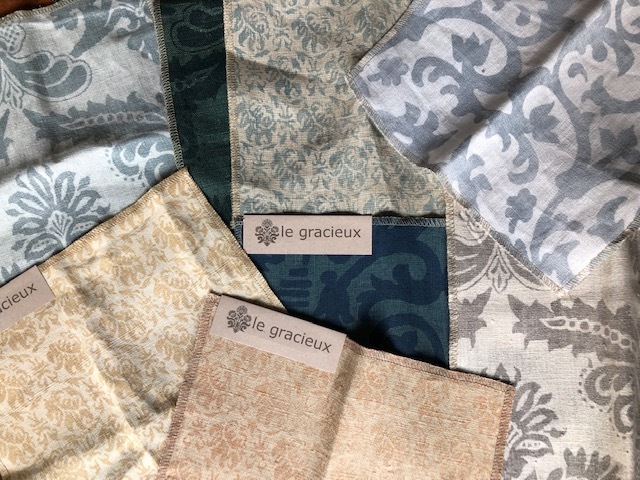 le gracieux incorporates the best aspects of Fortuny into its line. Two different swatches of the same pattern Regello in bay on soft blue. Pienza in saffron sometimes more yellow, sometimes more brown. Like Fortuny, there is variation in each finished product. Casa V selected the pattern Pienza for a current project in the saffron color way which can vary from shades of yellow to those of brown. 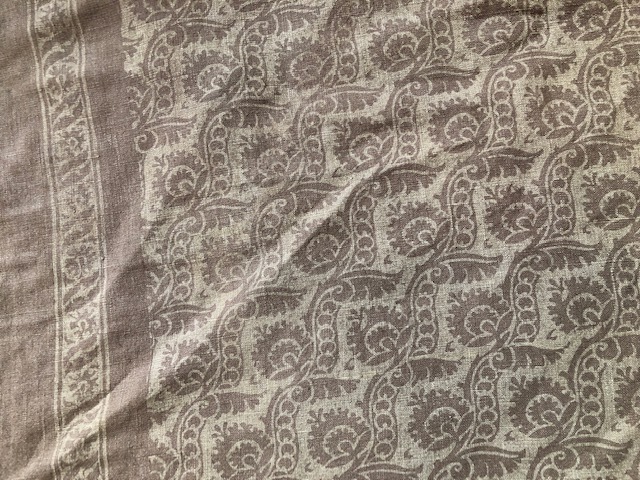 The company prints the fabric according to the approved swatch. le gracieux’s patterns have a look of antiquity. 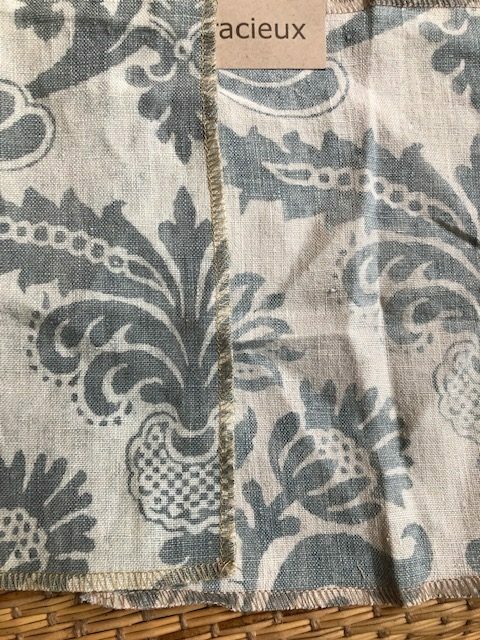 Some feel slightly medieval, others like vintage florals, while others are like cotton damasks. All are beautiful. Roselle in colorway cocoa on coffee. 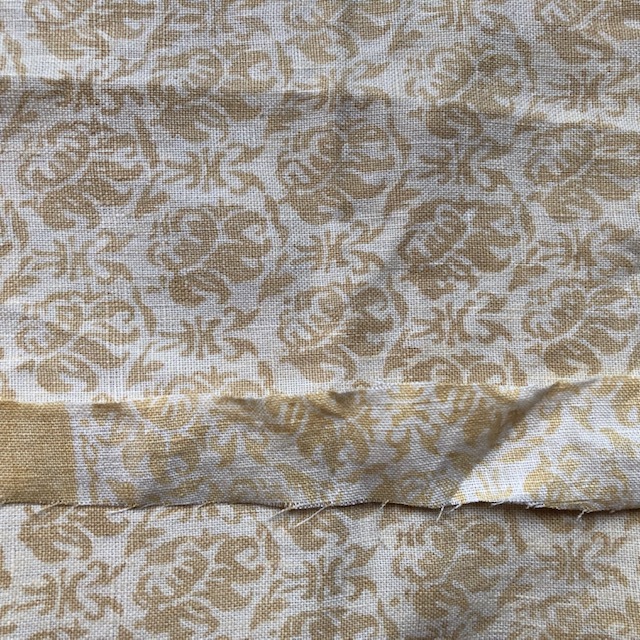 One of my favorite details of Fortuny are the printed borders along the sides of many patterns. le gracieux also incorporates borders into many of its patterns. This charming details adds interest to curtains as well as providing a decorative element into anything from bedding to pillows or upholstery. Serano, Forest on Grun, in reverse. Serano, Forest on Grun, right side up. Sometimes using the reverse side of a fabric is preferable to the intended side as pondered here. 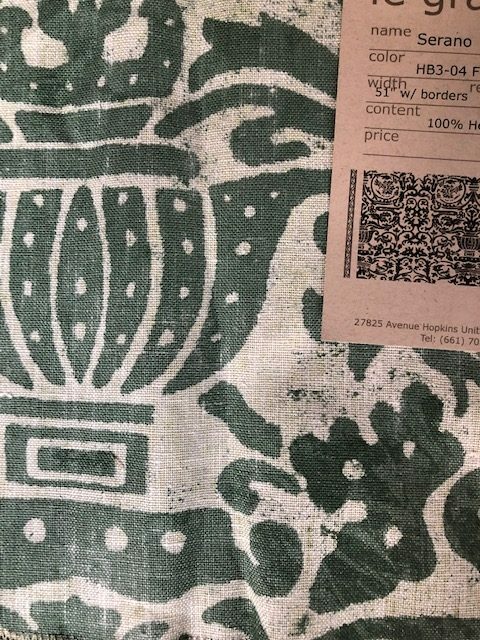 For example, the pattern Serano, above, looks beautiful on the back with the white hazy pattern against the forest green. It is more striking than the tone on tone green color way seen on the front. Most fabric lines are too distinctive to use multiple patterns in one room or possibly even throughout a home. Fortuny can be piled on top of each other for a look that is simultaneously understated and exuberant. It is a rare client who can afford such luxury. The price point of le gracieux is undoubtedly high-end but considerably less than the former. The soft look of le g fabrics allow them to be similarly piled onto each other. Their subtlety makes them the perfect choice for a current Casa V project. The art-collecting clients needed beautiful furnishings that submit to the main attraction, the paintings. This fabric line has been the perfect solution to graciously color this sophisticated home. Casa V can graciously color your home with these beautiful fabrics.